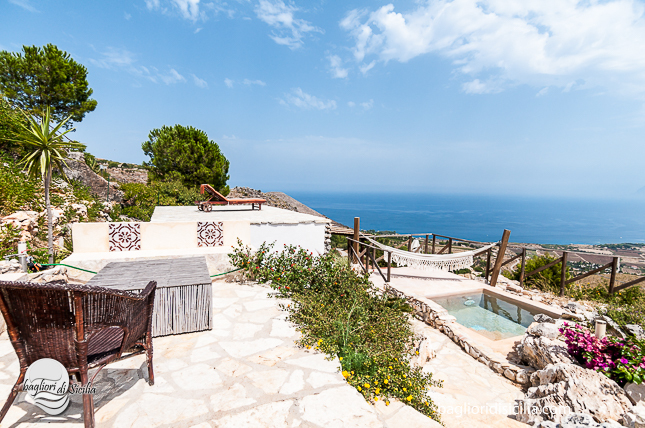 Beautiful view, fantastic place, wellness of jacuzzi, total privacy, not noisy. 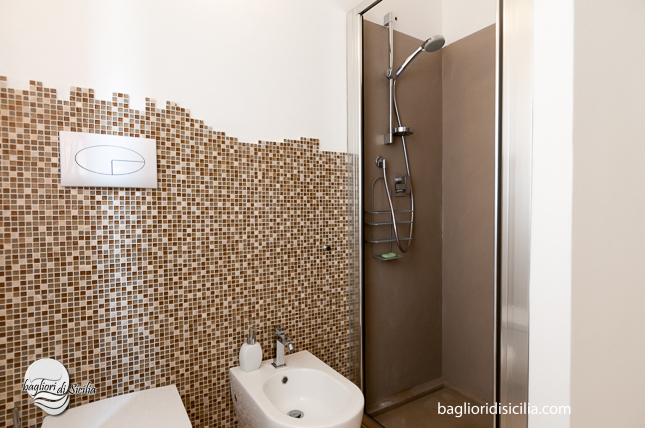 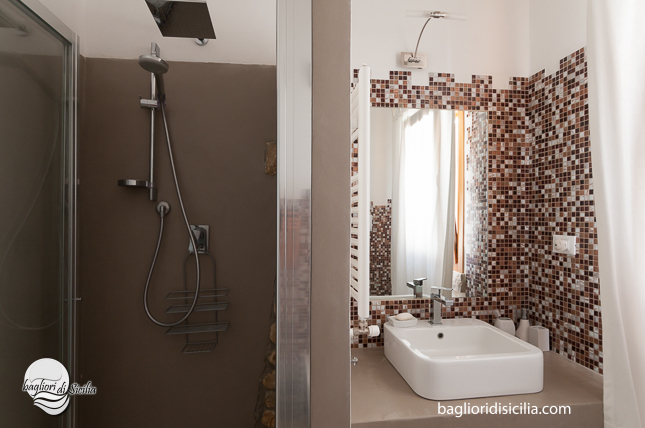 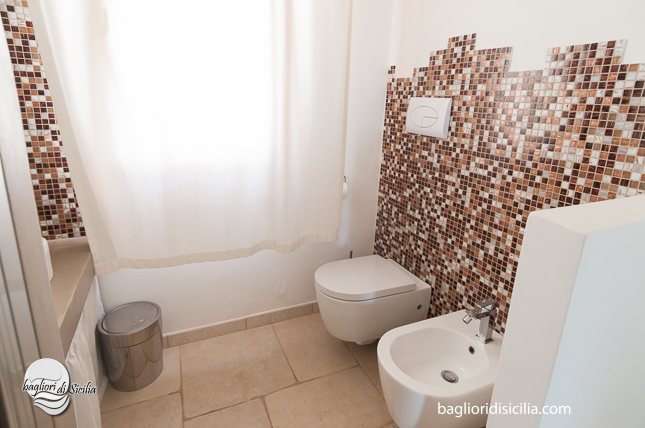 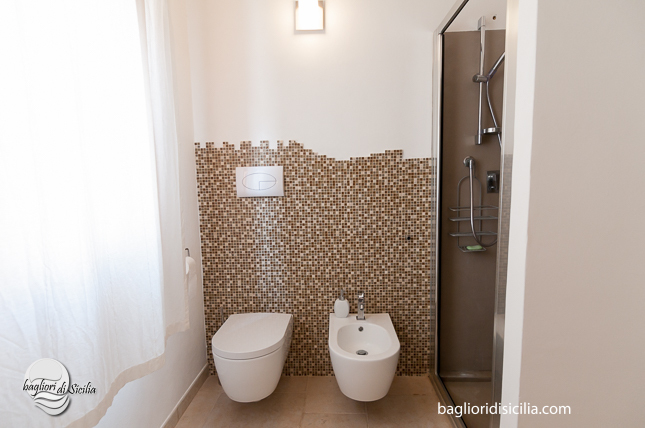 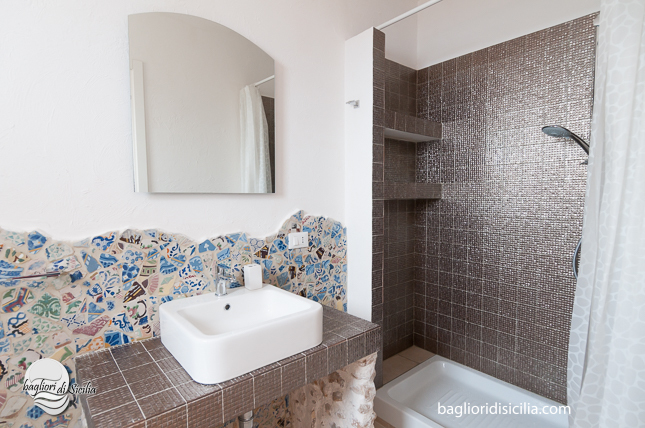 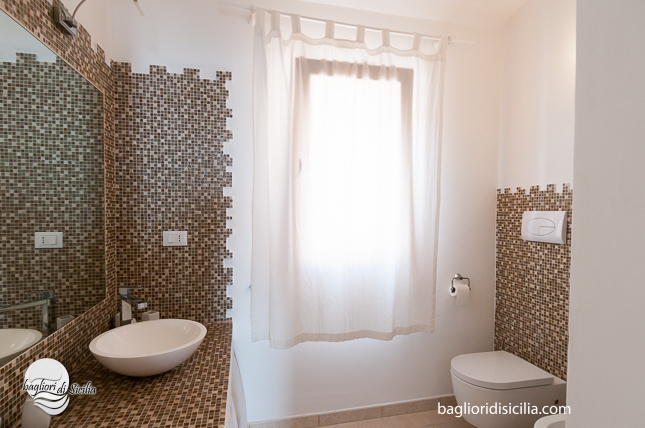 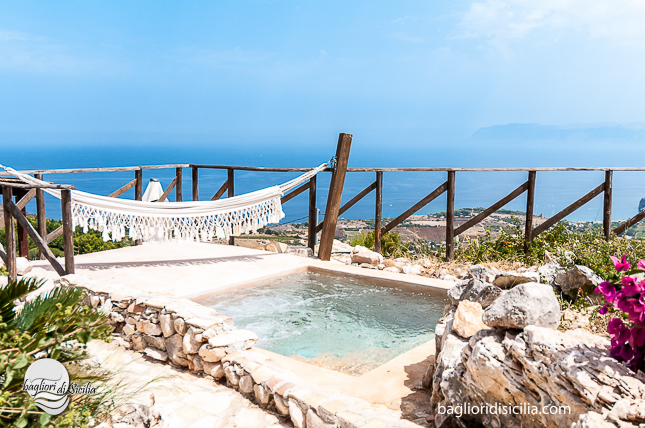 Villa Fenice in Scopello is a luxury house with private jacuzzi 2×2 mt, ocean view to all the Gulf of Castellammare. 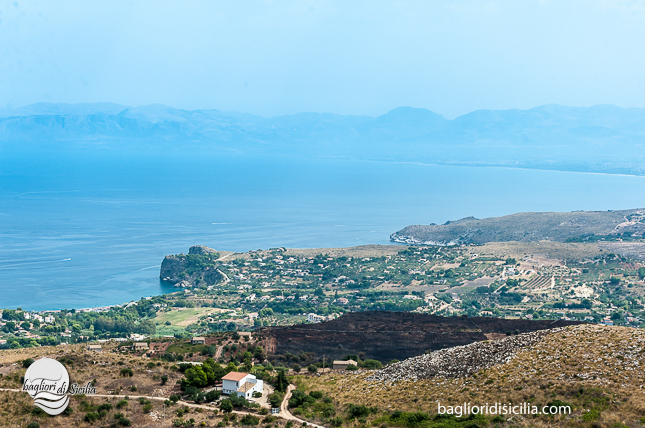 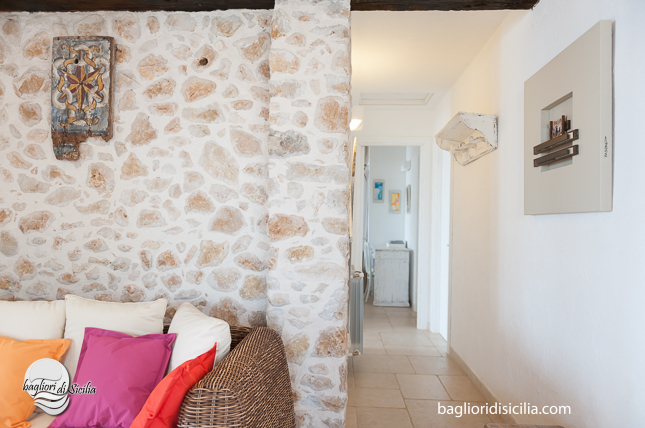 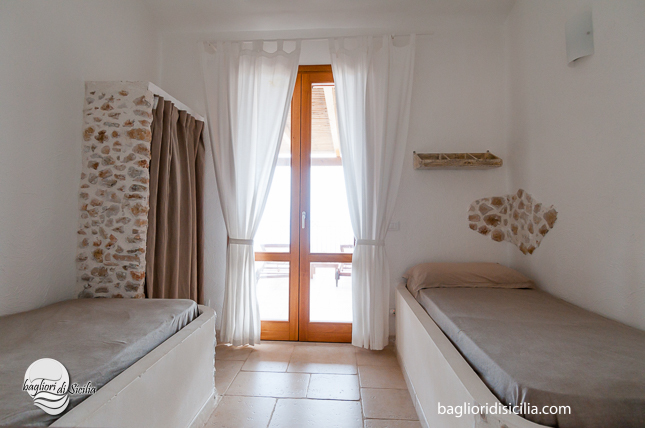 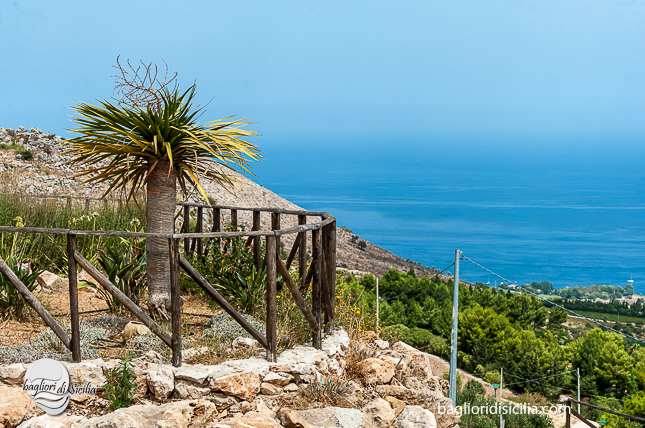 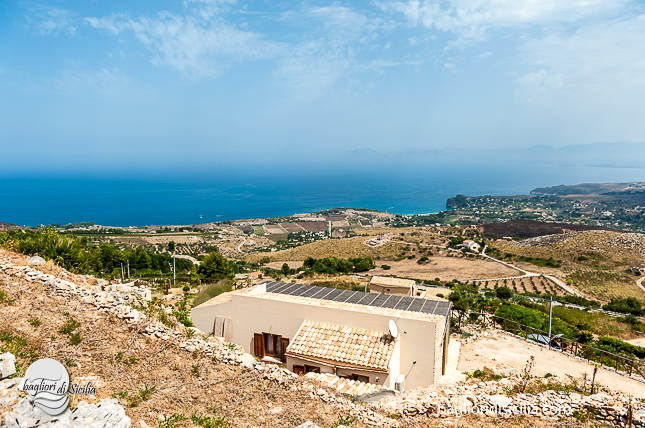 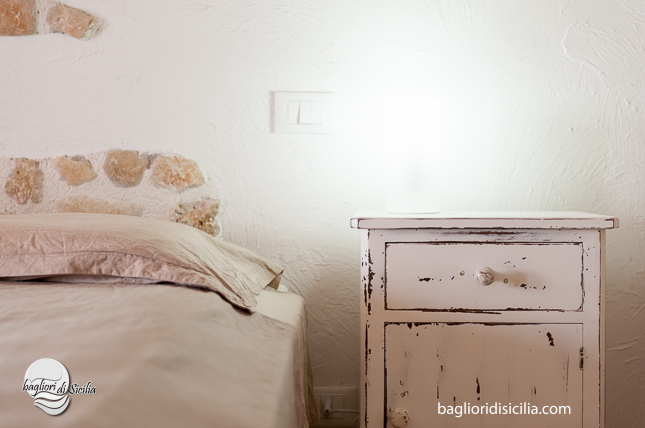 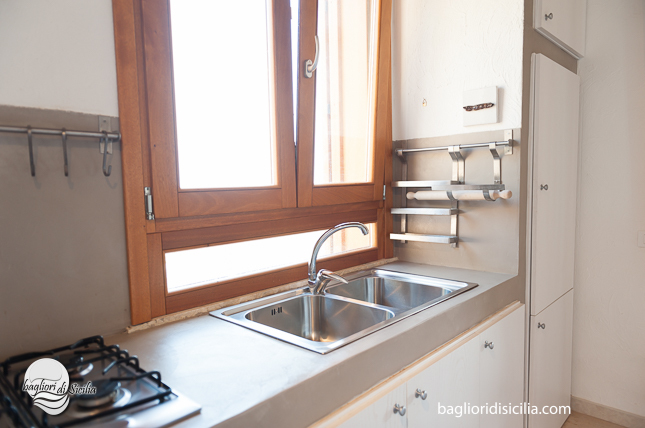 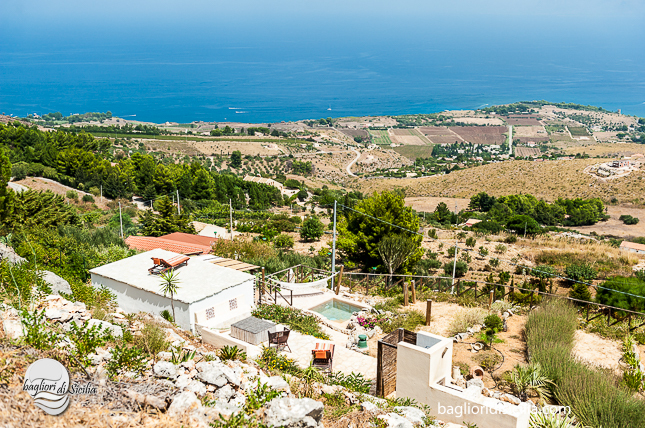 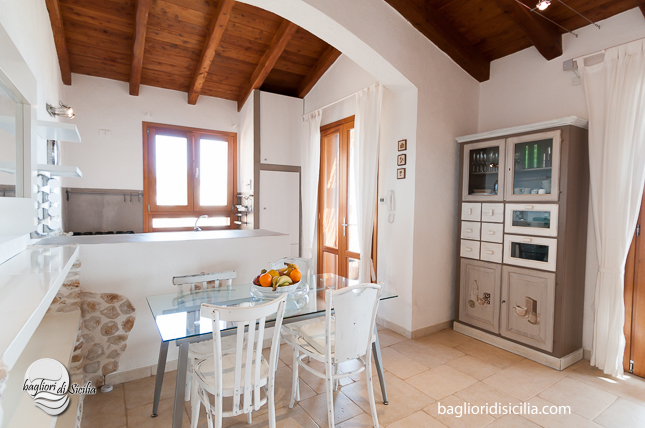 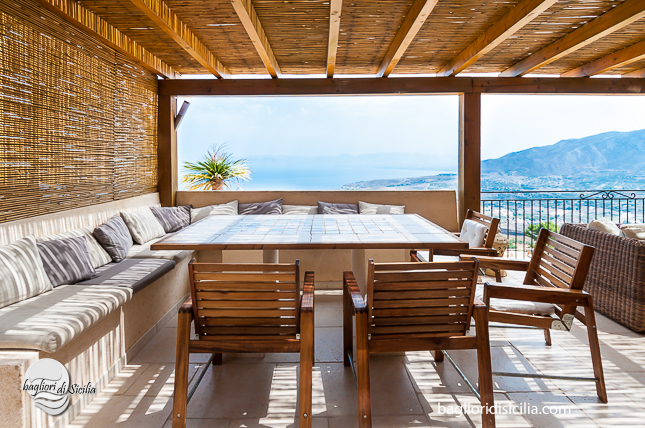 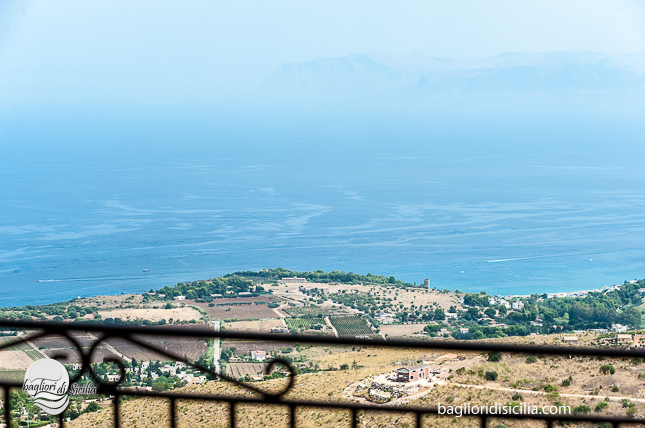 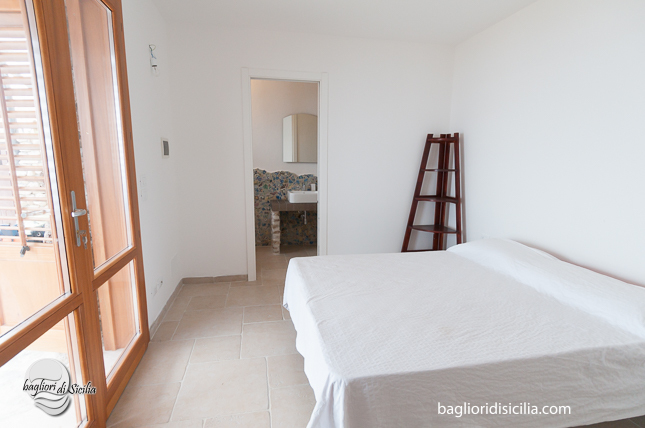 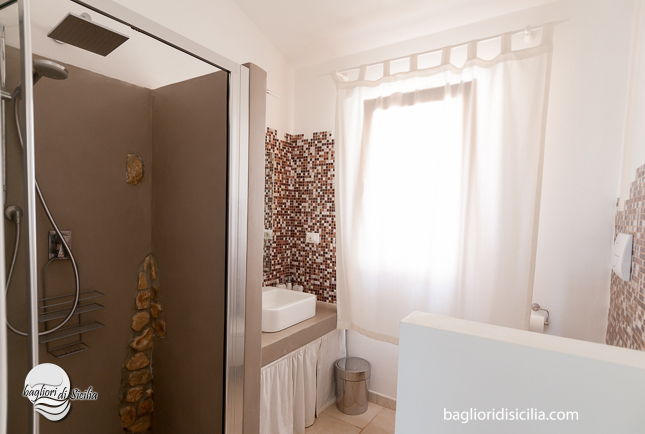 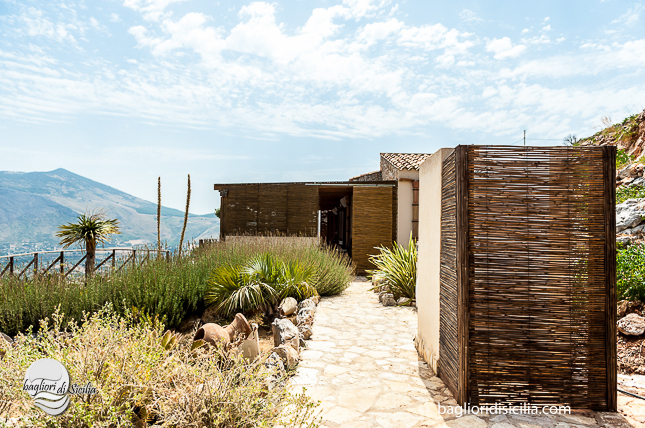 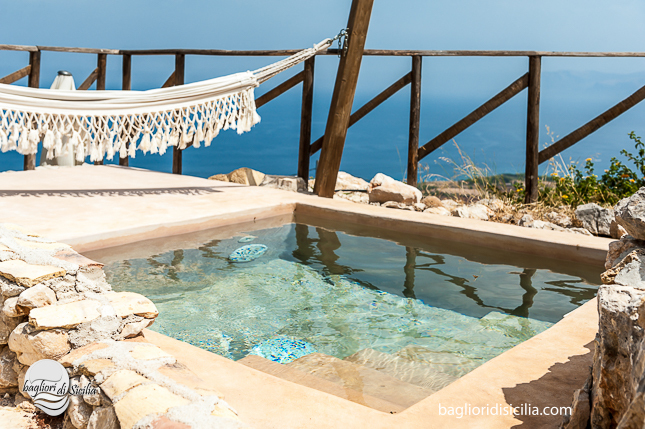 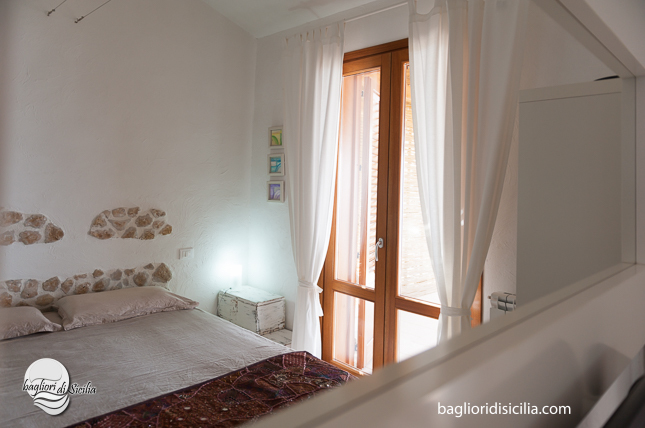 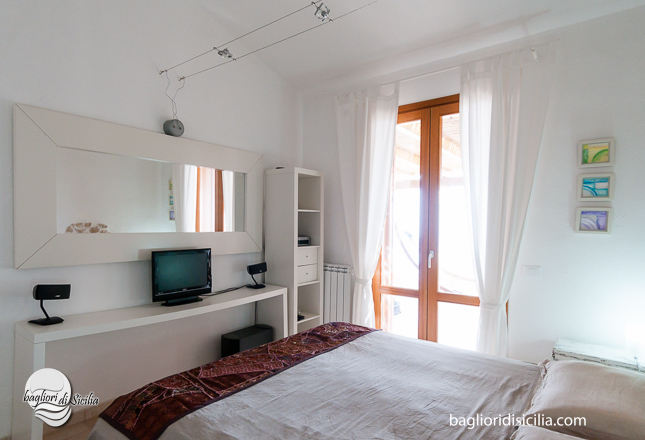 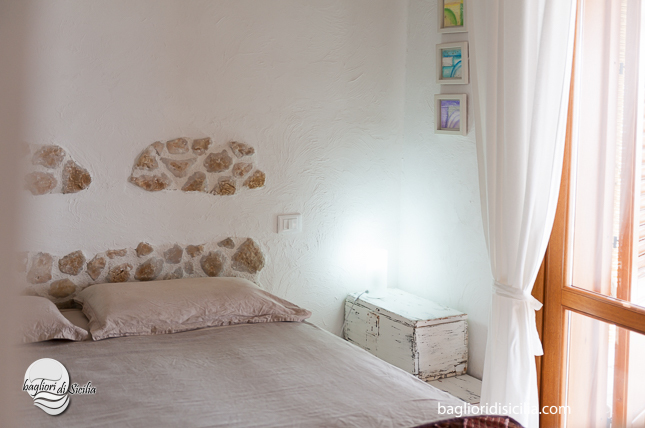 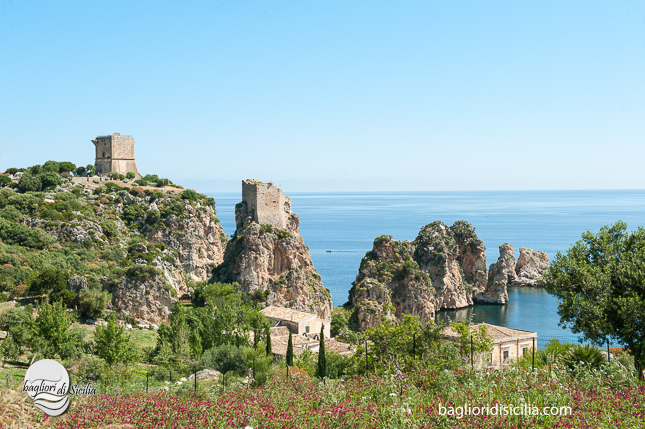 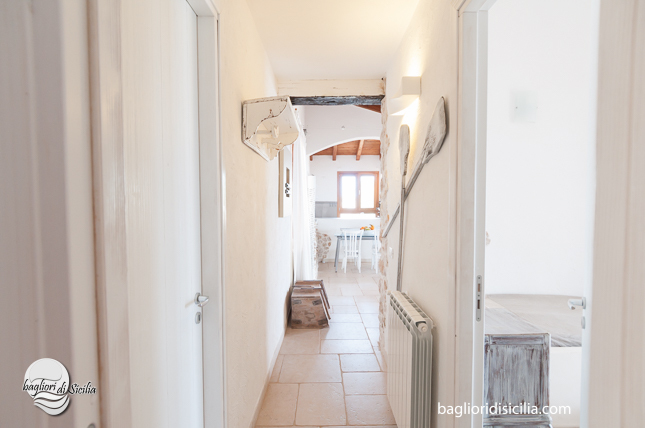 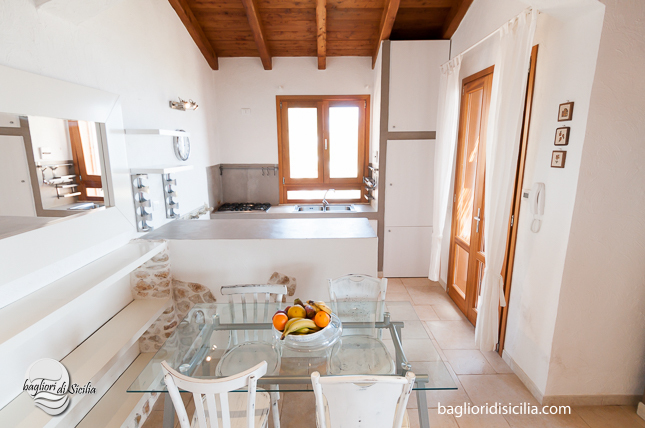 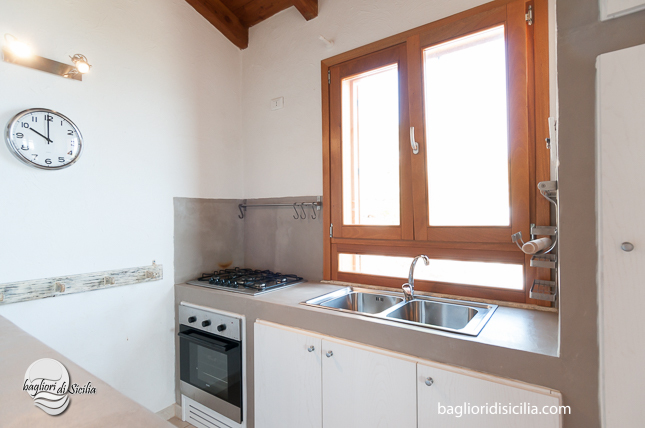 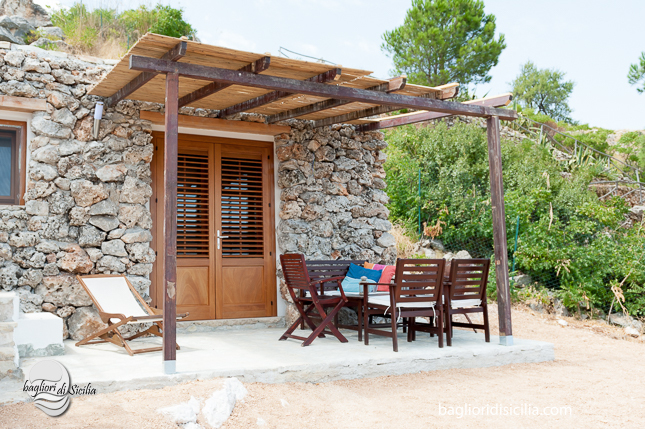 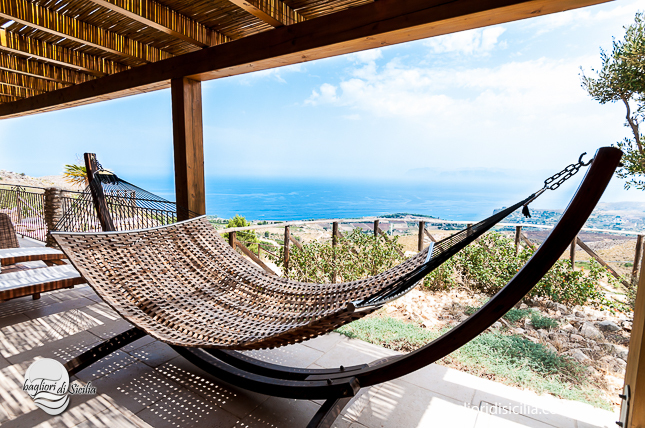 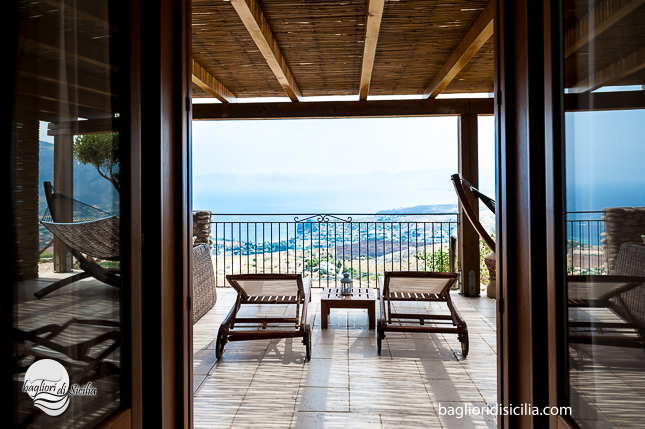 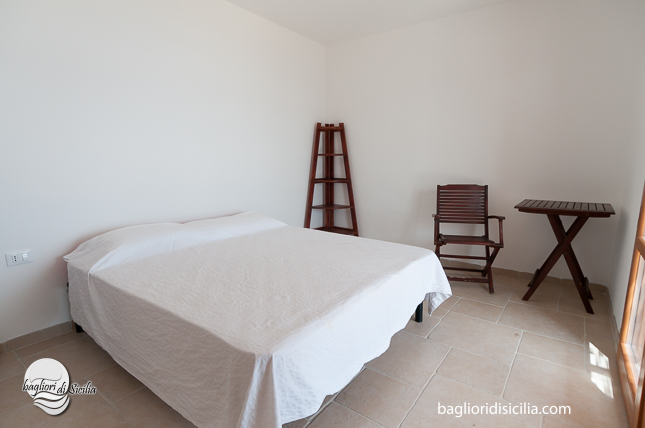 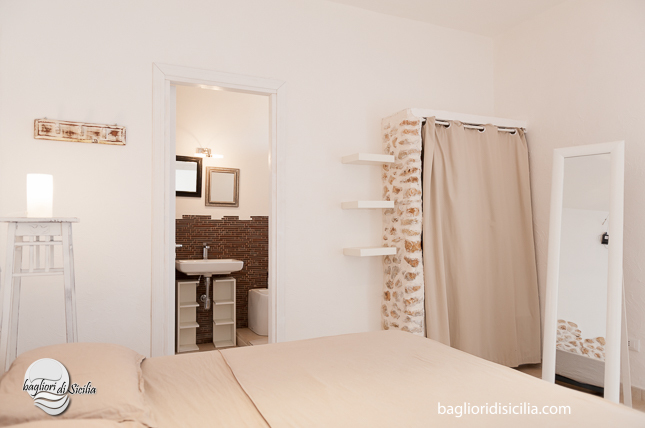 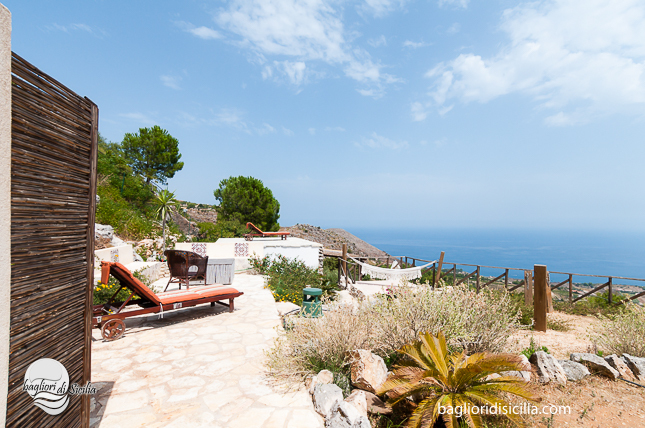 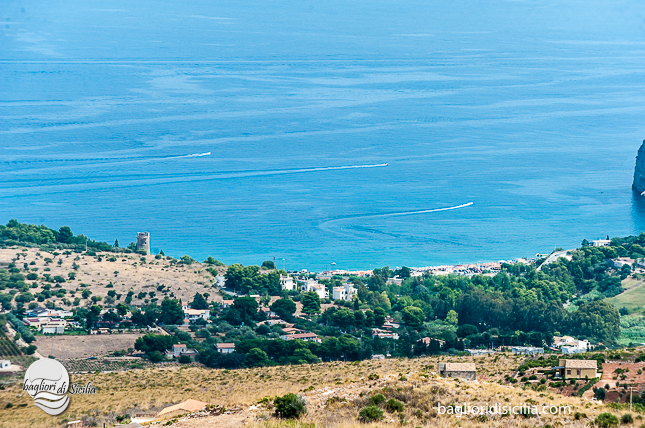 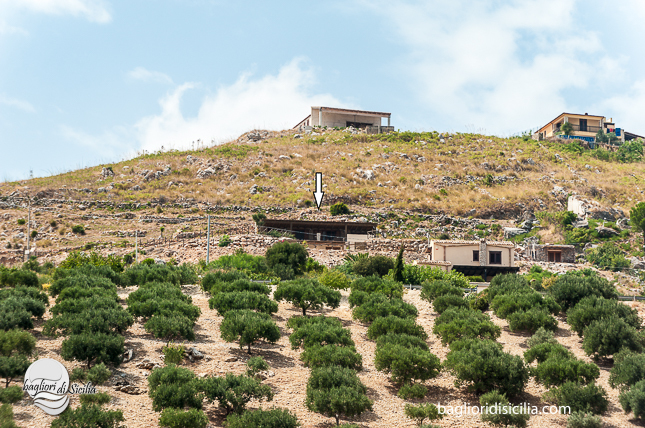 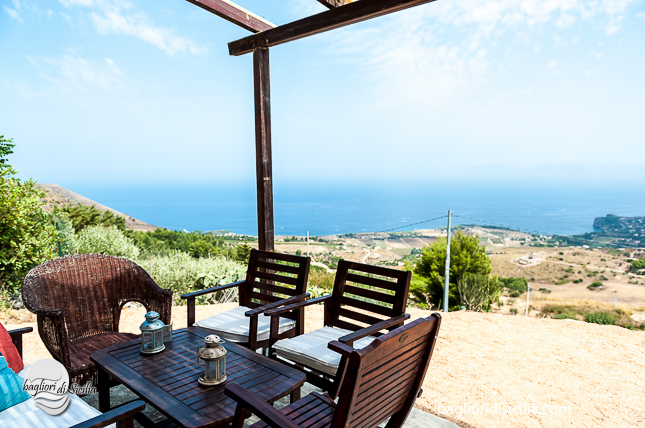 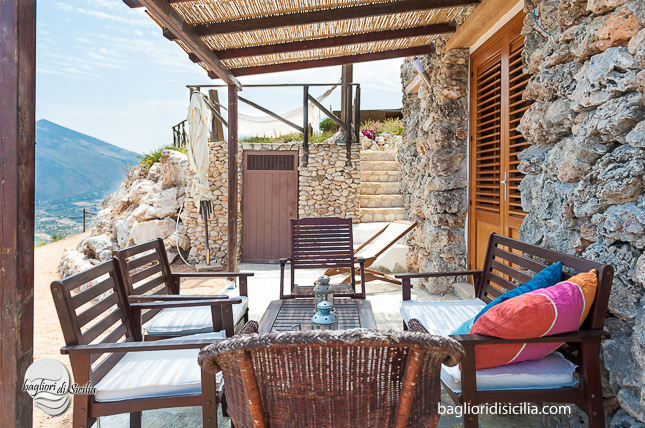 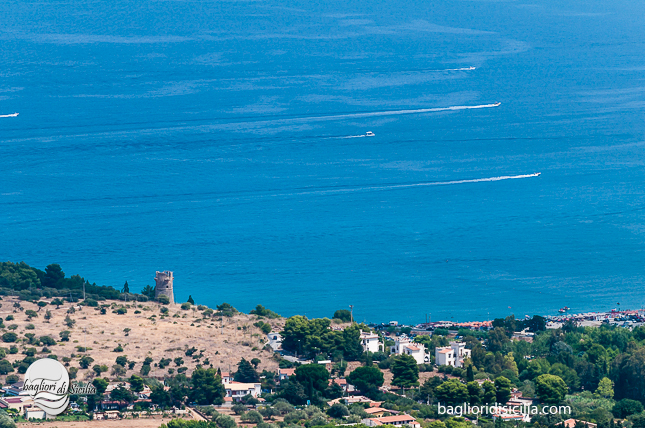 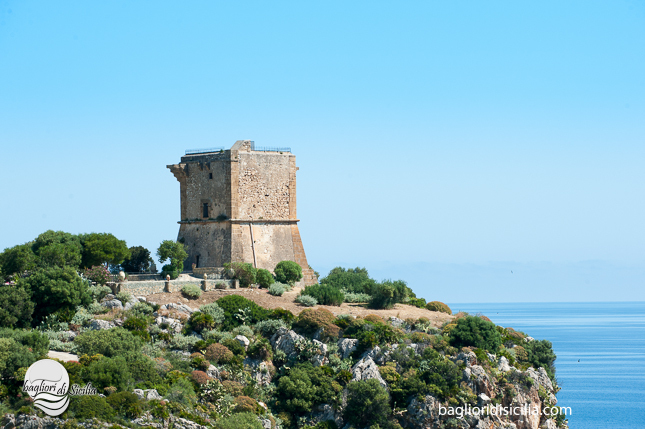 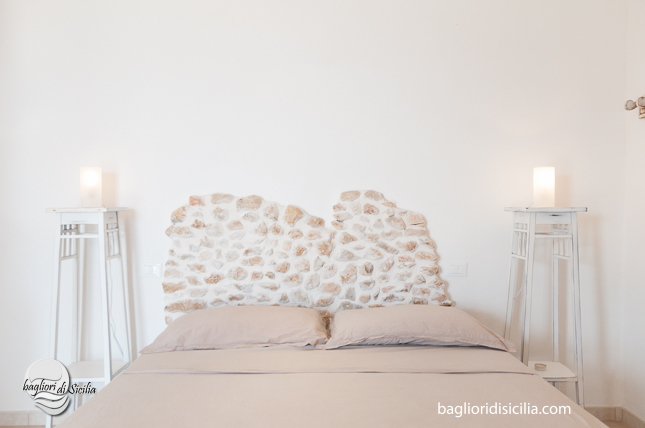 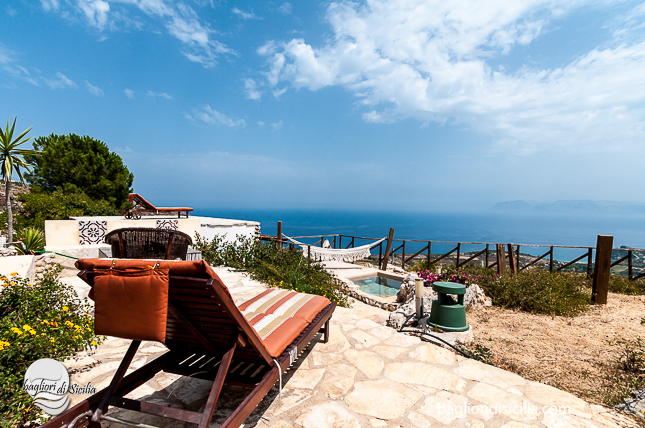 It’s a luxury rustic, you can enjoy a superb breathtaking view, ideally for a holiday in Scopello. 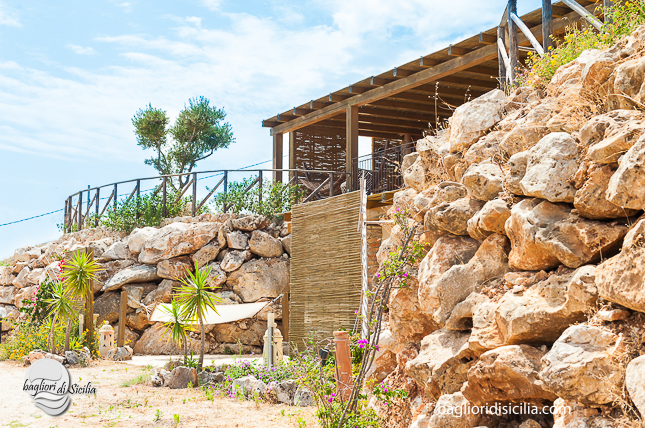 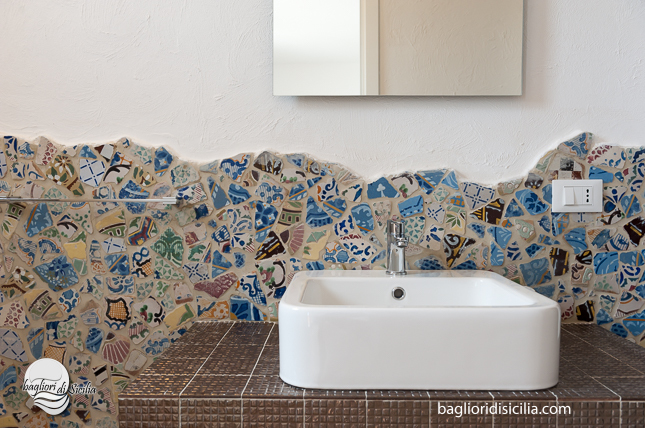 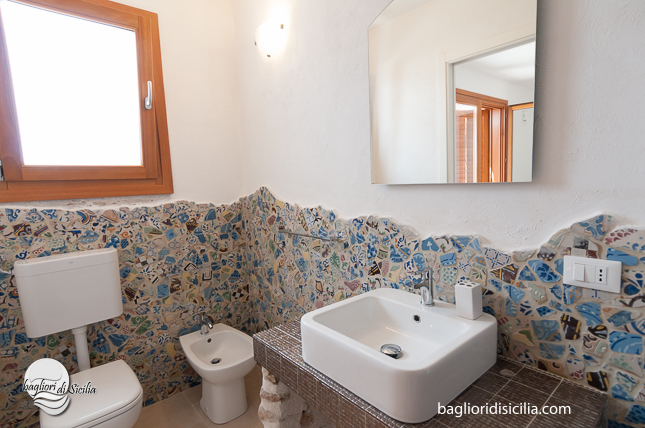 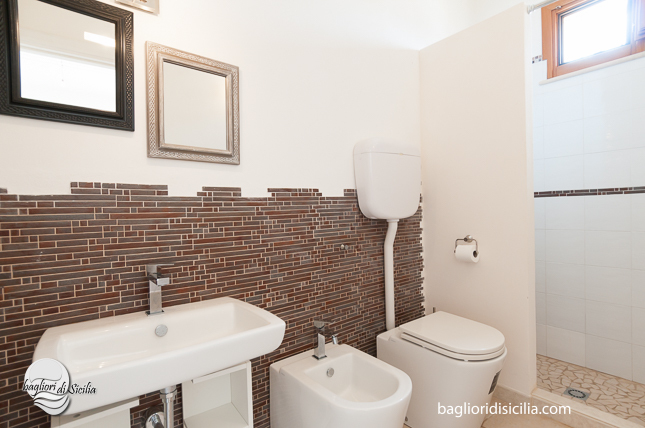 Villa Fenice is built with stone and resin, great attention for every detail, surrounded from a mediterranean garden. 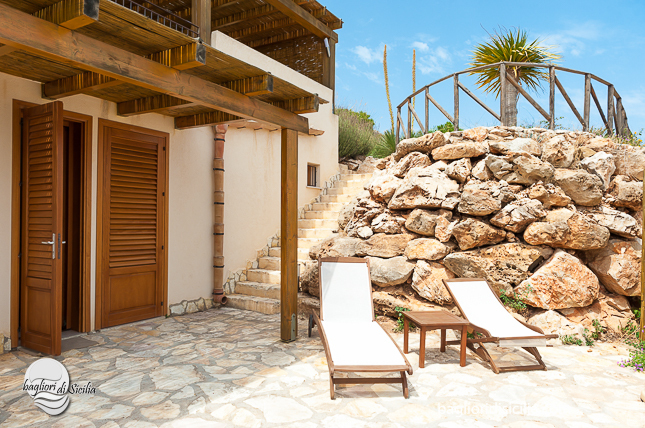 It has four sea view bedrooms, four bathrooms, a large terrace, is very quiet. 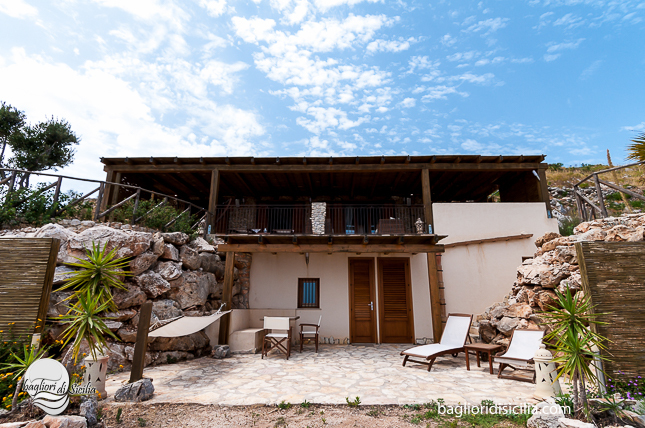 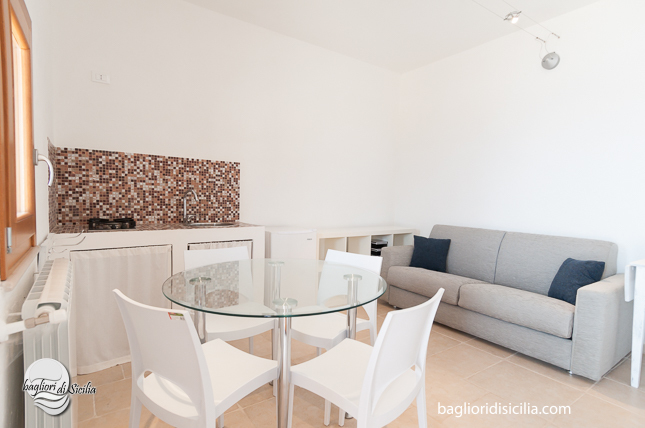 The house is suitable for a single couple or a group of 8/9 people, here you have a great time. 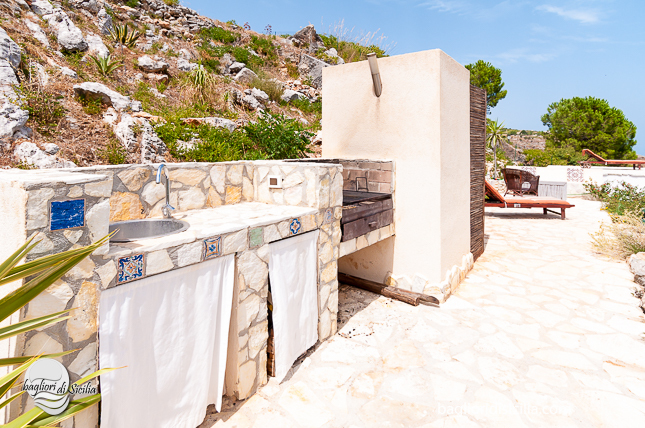 The jacuzzi is beauty, ideally to relax also during the evening, is illuminated with led lights; is refined with resin, typical material used in Pantelleria Island, it has a natural effect. 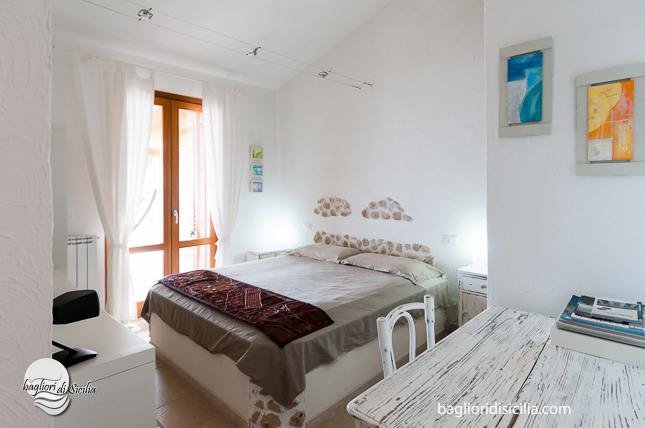 The main house has an access direct to the terrace, a bedroom, a bedroom with two single beds, two bathrooms, an elegant sea view living-room, kitchen in resin. 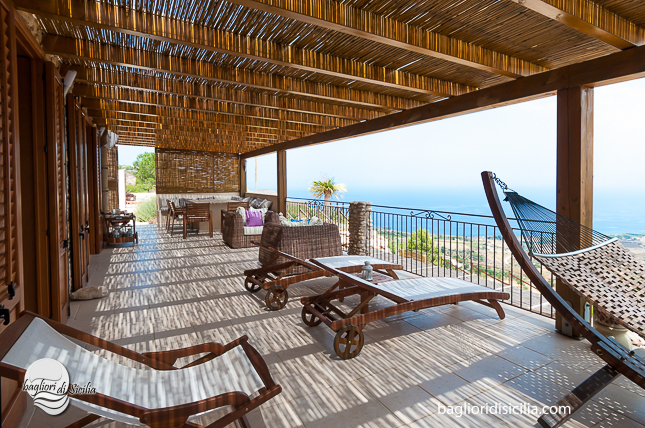 The terrace is characterized from some sun beds, sofas, chairs, amaca, a spacious table. 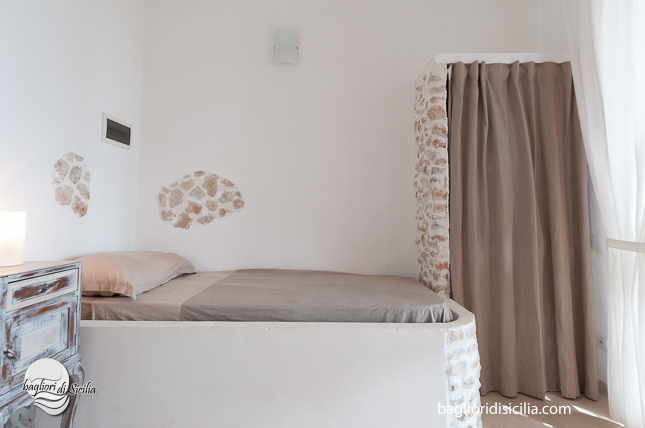 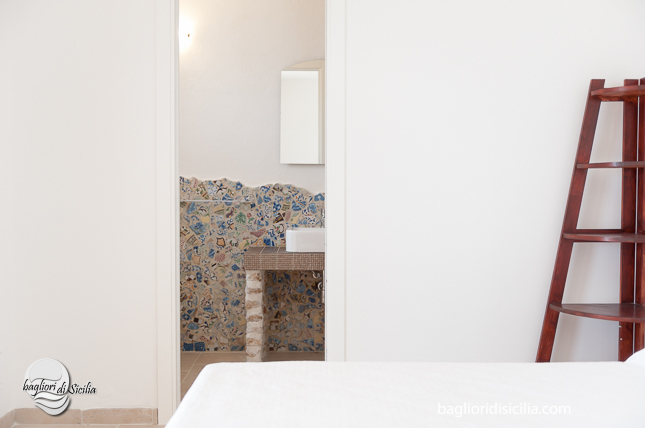 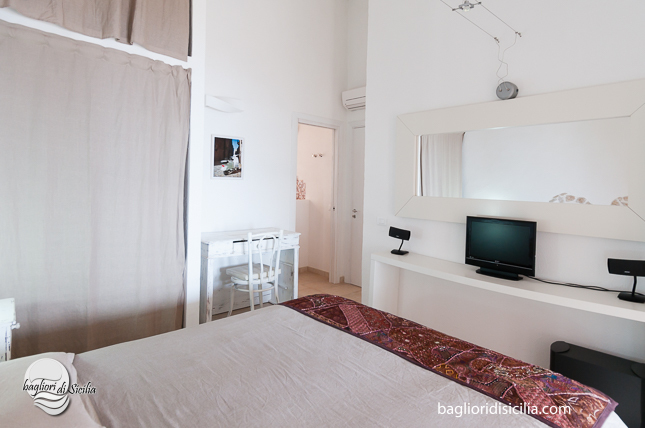 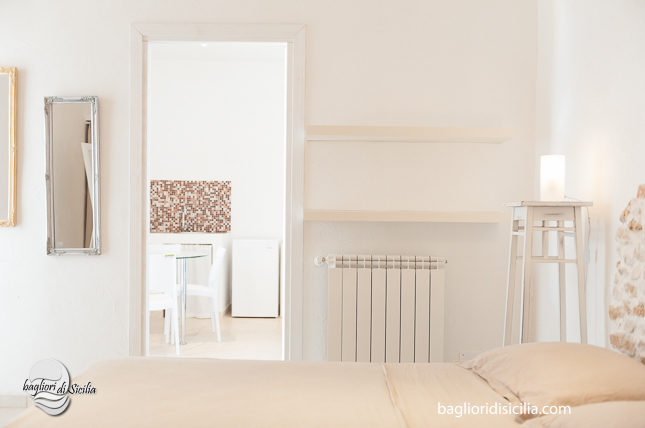 Every dependance has direct access from the garden, a bedroom, a bathroom, ocean view terrace ( in a dependance, is available also a sofa beds ). 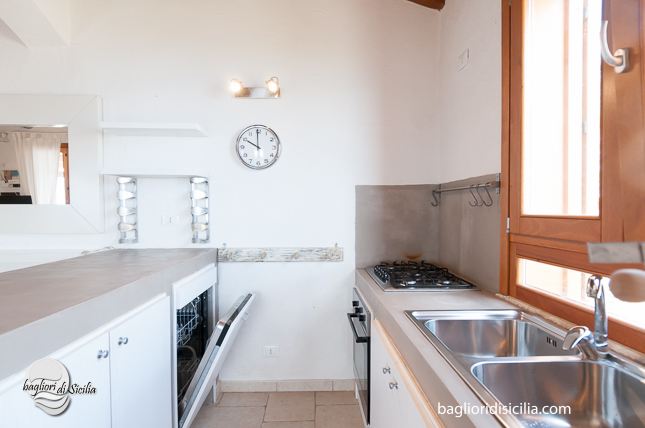 If you are only 2/4 persons, we close the dependancies, nobody can rent its. 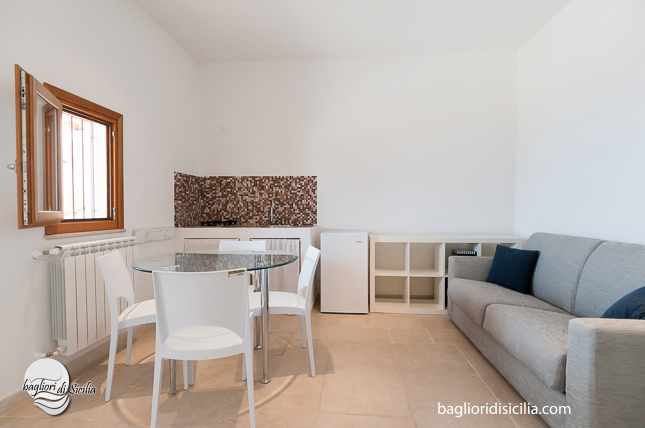 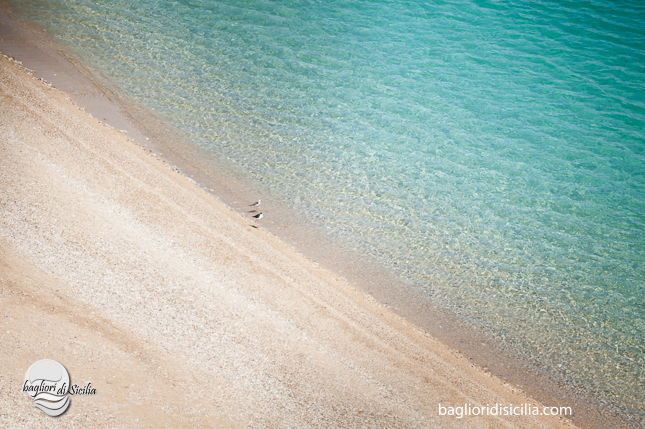 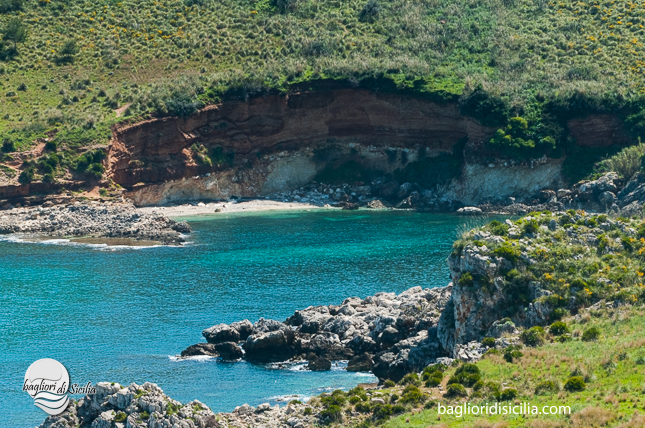 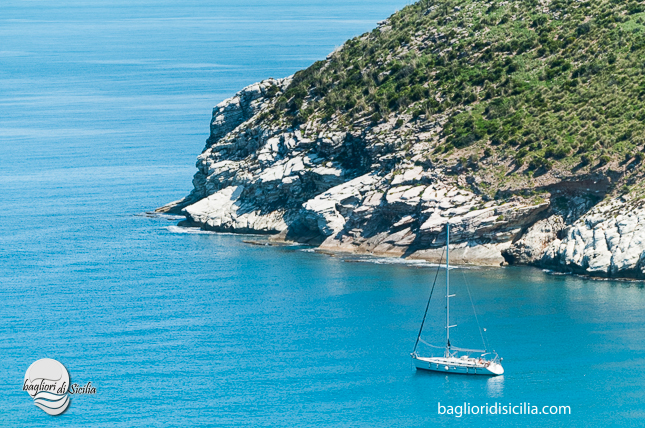 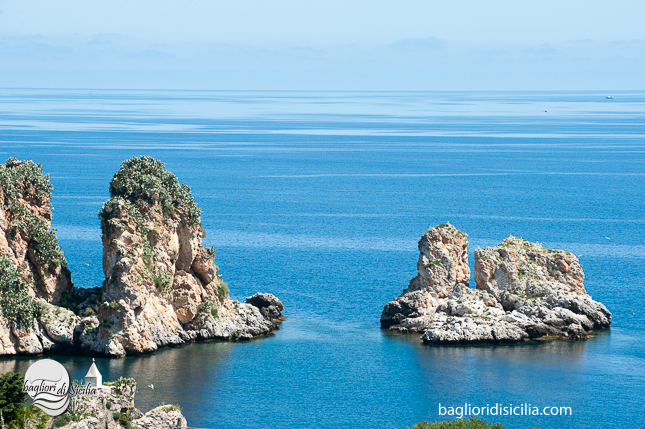 Villa Fenice is set close beaches such us Guidaloca, Zingaro Reserve, Tuna Fishing; the villages of Scopello and Castellammare del Golfo, are set few km away.